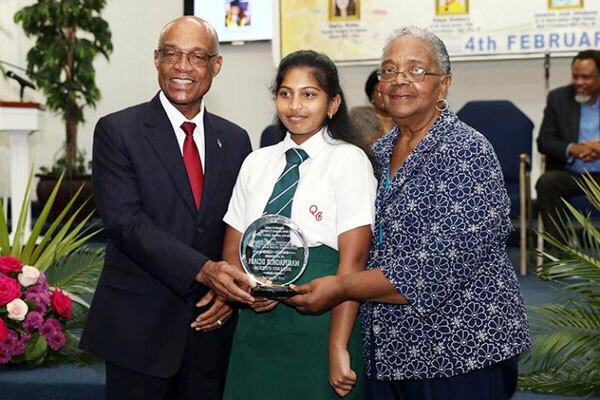 Prachi Kondapuram receives Carol Hanna Award. NASSAU, BAHAMAS – As outstanding students were celebrated on Monday for excellent results in the 2018 Bahamas Junior Certificate (BJC) and Bahamas General Certificate of Secondary Education (BGCSE) exams, Minister of Education Jeff Lloyd advised students to embrace the opportunities that life has to offer. “Believe in yourself; exploit your creativity for the benefit for our country. Realize that this is a life-long, life-wide journey and you have just begun,” said Minister Lloyd.